Paradigms of experiences are meant to be broken. 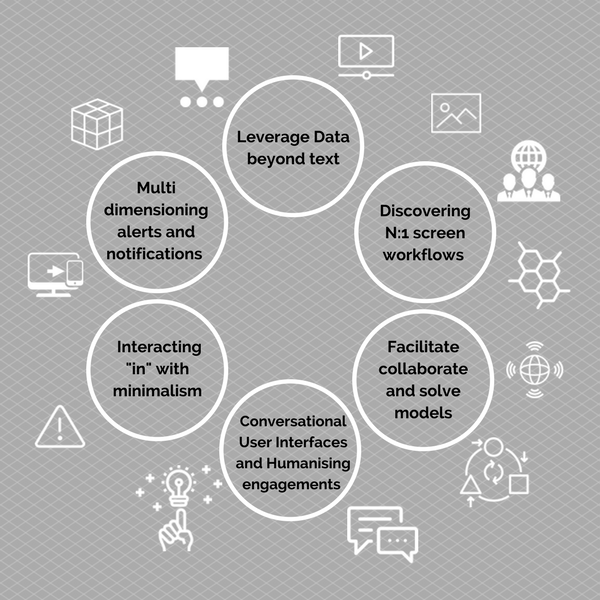 Common norms used for digital interactive experiences need constant re-innovation and disruption. Disrupting the conventions will be an ideal way to look at how the future humanization interactivity can reshape better. 2017 can be an year of innovation for experiences where the mobile world gets inspired by desktop and vice versa. We also embrace app-less, ui-less problem solving to a large extent. Smart home devices, smart workplace, smart vehicles, smart stores, smart entertainment etc takes intuitivity to a newer level of experiences. We can think of experiences that can change the ways we used systems of engagement. 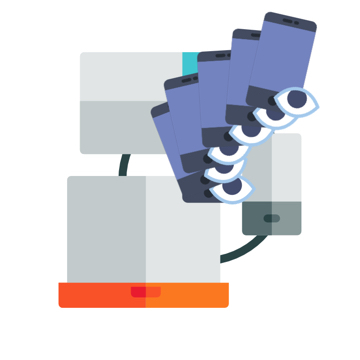 One of the key experience innovations that happened in the mobile world is the introduction of asynchronous notification capability by alerts and notifications. This is widely accepted as a productivity booster as users can selectively engage with systems based on the criticality. This channel is currently overloaded and the amount of alerts a channel gets are much beyond the regular information. This information blasts lead to lack of attention to critical information to an extent. 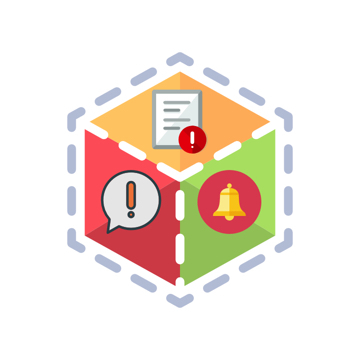 Alerts and Notification visualisation can be redefined as a micro dashboard for experience which has information available in additional three additional dimensions. The right dimension – ie the right swipe is the existing management mode of the message where we can delete, archive, snooze messages. However we can have the left, above and below dimensions available to enable the experience differently. Left dimension can he “History correlation of the notification“. The past events can be correlated to current event by an event chain. Above dimension can be “User recommendation for the notification”. The system or enterprise can give an advice of what are the reccomendations for the next steps. Below dimension can be “Drilling for more information”. The traditional drilling in for additional information associated with the notification. These experience enhancement themes will elevate alerts and notifications to next generation AppLess workflows and Collaboration User Interfaces for solving problems. Engaging with systems can be broadly seen as information heavy or decision heavy. Information heavy interactions are those where the end users will be interacting in with large inputs in text, media etc. Eg: A social engagement experience where the information input is a function of the user mood and context. There is an additional class of engagement which is decision heavy, ie the traditional workflow applications where the users will be engaging with decision points. This will be with patterns of input at most of the time as the responses can be from a set of predictive decisions. Typically these are the typical enterprise workflows in nature. Enterprise interactions can be amplified by workflow keyboard smart abstractions beyond the regular keyboards. Workflow keyboards are adaptive keyboards based on the expected, predicted or recommended inputs at any stage of input of workflow. These keyboards will have predictive patterns needed for the workflow. These input tokens can be learned on usage or statically defined based on the possibilities. 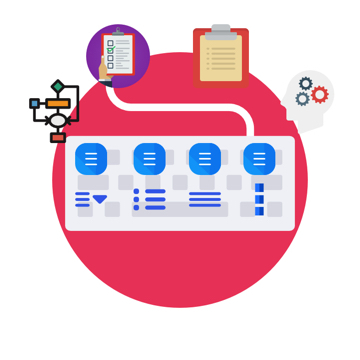 This predictive input assistance model will be a great productivity booster when we consider enterprise workflows. Additional level of experience enrichment can be deviating away from traditional keyboard layout and making the workflow keyboards “thumb” friendly in arc interaction modes based on those tokens. will have a per screen statically defined experience with a predefined set of umbrella customizations. Hyper personalisation is really viable if there are multiple views based on experience flavours available for each workflow stage or screen. Users will mix and match and compose the experience based on his own productivity boosting recipes. This is possible by absolute decoupling of experience logic from business logic in the underlying application or web experience. In app analytics embedded in the visualisation help govern the accuracy and efficiency of the UX strategy embraced for each personalisation themes. The future can be adding , pushing experiences to applications that reduces Ux obsolescence for the workflows. Traditional problem solving is always a BTo1 model where the business user becomes the sole owner of the problem solving. For workflows that need assistance, the context will be addressed beyond the usecase and the application. 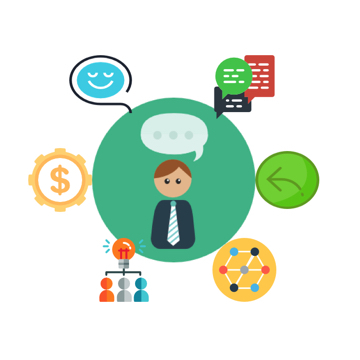 Experiences need to enable peer to peer problem solving efficiently by sharing the user and business context effectively from any workflows. 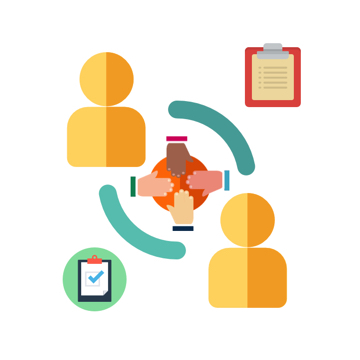 This controlled social nature of problem solving will be the norms of future especially when a slack or yammer based closed groups are gaining momentum in binding knowledge pools together. Text has been predominantly the data exchange medium for workflows. Natural interfaces for workflows also convert the medium to text at a system of records level. However multi mode data for workflows can be more effective in solving business problems. 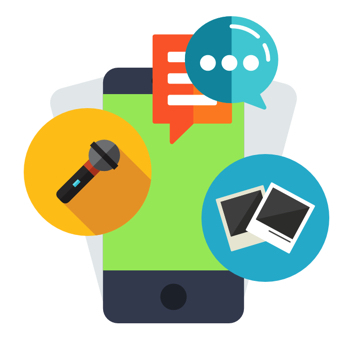 Eg : Voice / Image can embed more information within a duration of engagement with customer than assessing and inputing as text. Experiences can be redefined to support any mode and medium of engagement. The best fit method for a function can be assessed and improved on the run. CUIs will evolve to be better workflow friendly models. Traditional TUIs like Chatbots and Voice assistance need to mature and evolve to get wider acceptance as a primary interface for systems. The role of CUIs beyond a service experience is yet to be shaped to a mass acceptance mode. CUIs have heavy dependency on Artificial Intelligence, BigData and Analytics stacks that is essential to address natural and common queries that solve problems. 2017 will witness some of the greatest experience innovations considering the multiple systems and channels of engagement. The seamless experience needs for workflows to be available on all of the channels push UX approaches beyond any available conventions. Business transformations by Digital approaches will be primarily governed by the disruptive Ux rather Dx approaches any organizations embrace.